A few years ago, home connectivity and home automation systems were only available to a privileged few with sufficient resources to install the different sensors and equipment necessary for the operation of basic applications with rough interfaces and sometimes complex to use. Fortunately, the situation is changing radically and nowadays thanks to the incorporation of small fragments of intelligence in different devices of home it is possible to create connected dwellings capable of offering us a multitude of options. However, we still have the problem of fragmentation. That is to say, there are many alternative languages protocols and brands, often incompatible with each other, so we must be careful to select right system that we are going to opt for. Fortunately, in the last two or three years this diversity has been reduced, or rather concentrated, in what we can call platforms or ecosystems in which the different sensors and smart elements live happily. We will analyse the different popular alternatives, each with its advantages, disadvantages and range of compatible devices. However, we have left out the more complex and erudite systems used in industry and in cutting-edge home systems and concentrating on the standard easy available systems which a few years ago, were only available to a privileged few with sufficient resources to install the different sensors and equipment necessary for the operation of basic applications with rough interfaces and sometimes complex to use. Amazon set out to make smart homes a more attractive experience for the general public and it seems that it is achieving it thanks to its multiple products and devices. 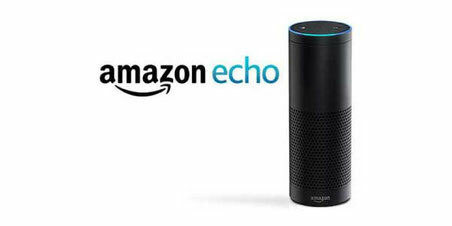 It began with a modest and simple intelligent speaker called Echo but little by little it is extending its domains to multiple and different areas of the connected home. Basically, it has focused on two strategies: first, to bet on creating its own devices capable of making different functions still somewhat limited, and secondly to open its ecosystem to third companies that are able to implement a common interface adding value to the platform. And it is probably this last point that has been the key to success allowing the development of new capabilities by third parties and even the possibility of installing Alexa on other devices not controlled or manufactured directly by Amazon. The basic operation of Alexa is very simple. We ask a question or give an order to a compatible device capable of understanding our voice and this either executes it if it can do it directly or sends the necessary commands to the destination gadget in charge of the task. In this way we can distinguish two types of devices, those with Alexa directly integrated that can understand our orders, such as intelligent speakers, and those who can receive commands or "skills" of these and we will see marked with the typical label "Works with Amazon Alexa". 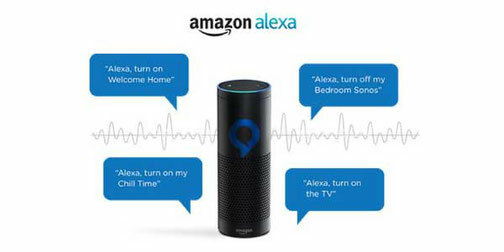 The process to install the different equipment of the ecosystem begins by buying a device that contains integrated Alexa (for example an Echo speaker), to later go adding different additional elements as long as they are installed in the same local network. We can create groups of devices by zones for example to turn on several lights of a room at one time or the lights and the stereo, etc. There are thousands of gadgets and devices compatible with Alexa of very different brands, as most of them understand the English language with ease. What devices are compatible with Alexa at this time? Well, thousands, and their number continues to grow day by day, although we must make it clear that their artificial intelligence does not understand all languages. However, if we speak fairly good English or are able to handle different commands in this language, it should not be a problem, but if we do not do it, it can be an inconvenience. To start creating an Alexa ecosystem we must first get one of the Amazon speakers, for example the Amazon Echo that can be obtained for around 110 euros. From there we can find a multitude of devices and accessories available on the brand's own website. There is virtually everything from light bulbs to WiFi, lighting systems, plugs, speakers etc. Of course, we must bear in mind that many of them are of little known brands. We also have some Amazon own releases that are not yet available outside of the United States but can be imported if we have a lot of interest, such as the interactive Echo Button, the Echo Spot, a new gadget that we can use as a smart watch, Echo Plus, the most powerful version of the original Echo speaker, or the Fire TV multimedia devices of which in Spain we can buy the basic version for around 60 Euros. But the interesting thing about Alexa is its expansion beyond the Amazon store capturing the interest of manufacturers already positioned in their respective sectors. Thus, in recent months we have seen the arrival at home theatre equipment and sound bars of well-established brands such as Denon and Polk Audio, its incorporation in some smart TV, in HP printers, in Acer's latest 4K projectors or in Hisense air conditioning systems.